Hundreds of fundraisers braved near-freezing temperatures at Slessor Gardens to support homeless people across Scotland. KT Tunstall has thanked the 10,000 fundraisers taking part in a mass sleepout for showing solidarity with homeless people and helping collect £3.2 million. A Dundee urban hip-hop artist has shot her first music video in the City of Discovery. 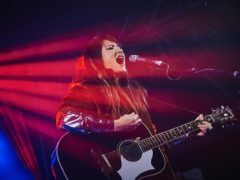 KT Tunstall and Amy Macdonald will provide the entertainment later for around 10,000 people spending the night outdoors in a mass sleepout to raise millions for the homeless. Nearly a quarter of a million pounds has been raised in Dundee ahead of the city’s first-ever Sleep in the Park event this weekend. Dundee council has released details of this year's fireworks displays. Scottish rock heroes Simple Minds sent Slessor Gardens wild with a crowd-pleasing, hit-strewn set on Sunday night. Road closures will affect Dundee for the next 12 days as thousands of visitors prepare to visit the city centre. The summer may be coming to an end but two of Scotland's biggest music stars are keeping the #SunnyDundee campaign shining bright. 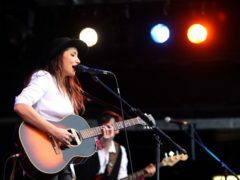 Scots-born songstress KT Tunstall is hoping she receives a better reception when she appears in Dundee next month than she did during one of her early performances in the city. Pretenders legend Chrissie Hynde is urging music fans to put their phones away when the band perform in Dundee next month. A Dundee primary school teacher is heading home from a star-studded week in New York, where he performed as part of the city’s Tartan Week celebrations.